Inside a Japanese Home - Where in Our World? Many Japanese houses and apartments are made from wood. 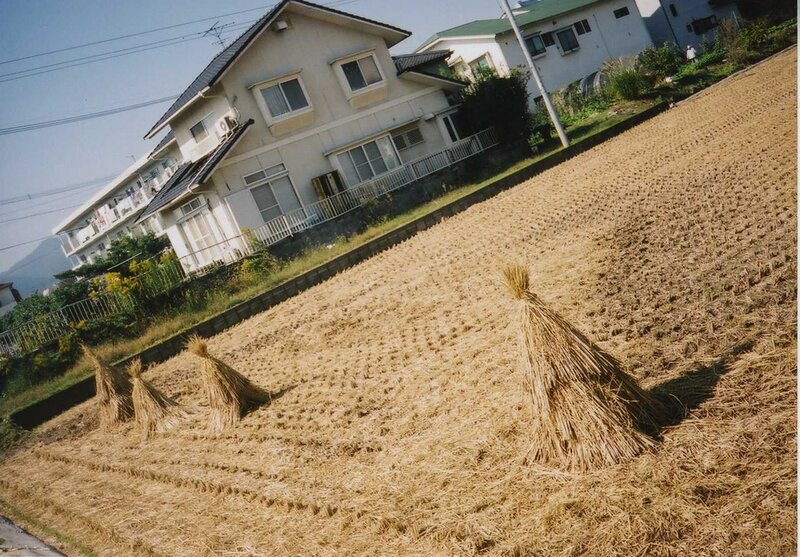 There are lots of earthquakes in Japan so these houses are better suited to the environment. People wear slippers rather than shoes when they are indoors. They take off their shoes in the genkan (hall) and store them in the hall cupboard. The door with the wooden frame and white paper is called the shoji. 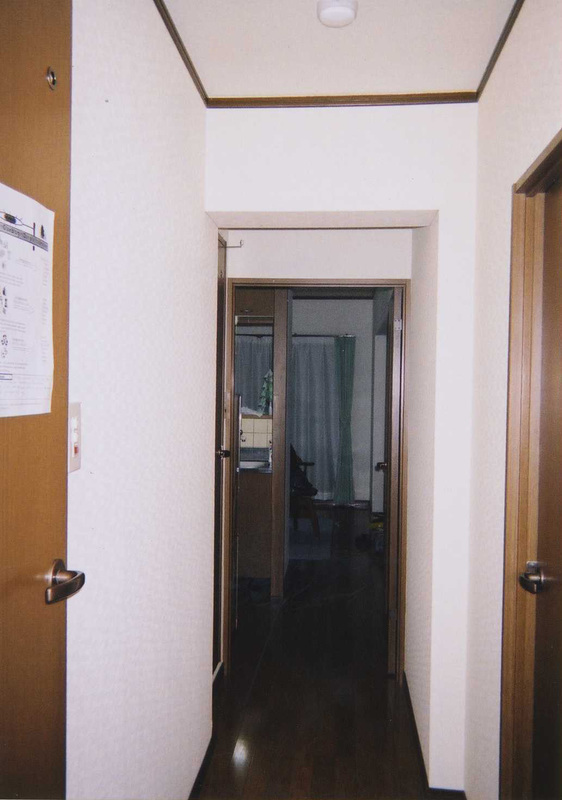 It is a sliding door that is between rooms. In Japan people sleep on a futon on the floor. 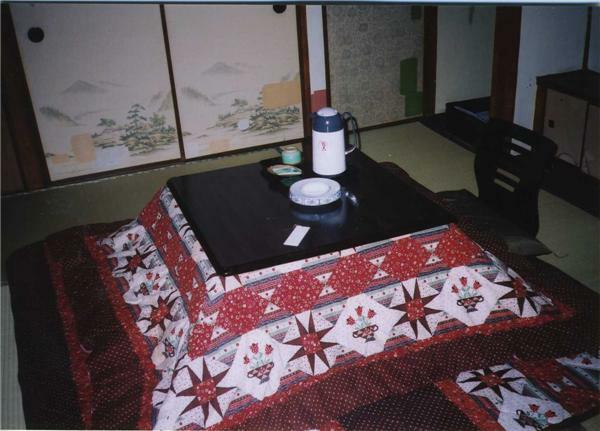 Since it is just a thin mattress it can be folded up every morning and put in the fusuma (wardrobe). The floor covering is called tatami. It is made of rice straw. In modern houses you see tatami rooms but you also see rooms with carpets. This is a kotatsu. It is a table with a heater under it. If you are cold you can plug it in and put your legs under the quilt. 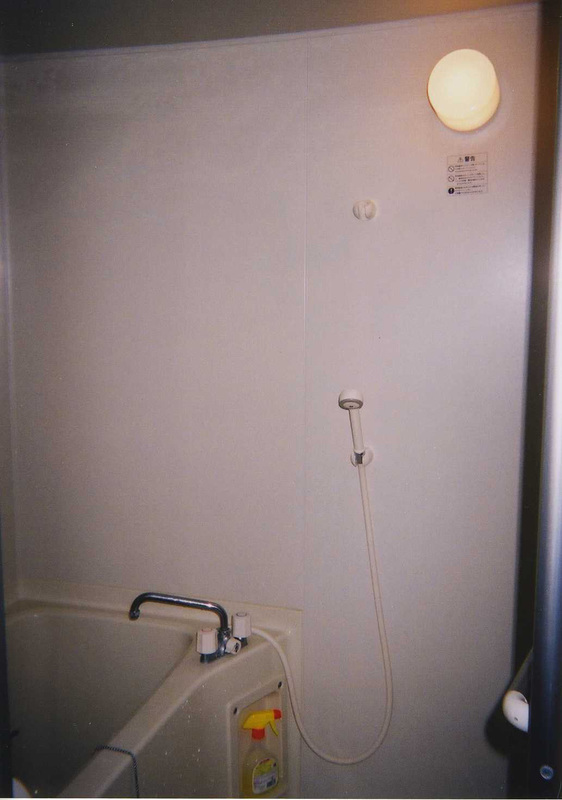 Japanese people wash themselves before they get into the bath. They sit on a little stool and pour water over themselves with a little basin. They wash themselves with soap and shampoo before they get into the bath. Japan sits on a fault line so there are thousands of onsen in the country. The water is heated naturally by the volcanoes. Onsen were traditionally used as public baths. The water in the onsen is supposed to be very good for you because there are lots of minerals in the water. 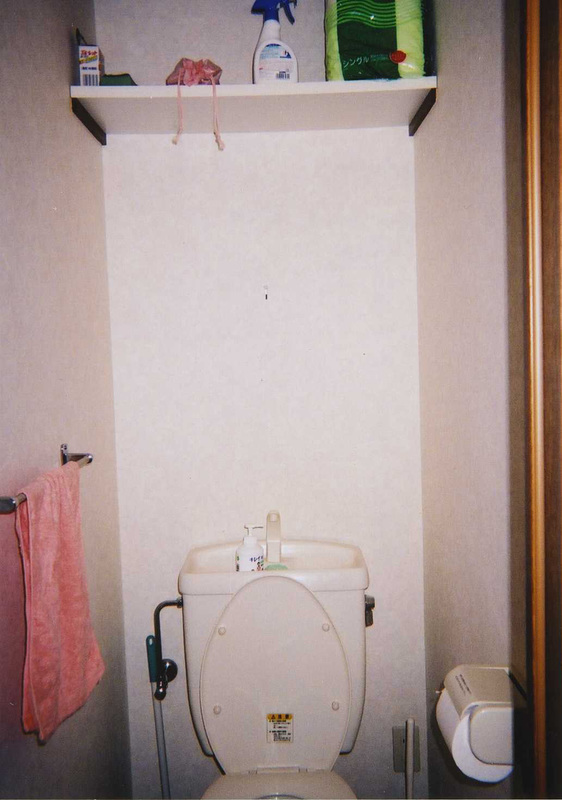 The toilet (toire) is never in the same room as the bath. There is a sink on top of the toilet. When you flush the toilet the water runs through the tap. You wash your hands and then the same water is used to flush the toilet. 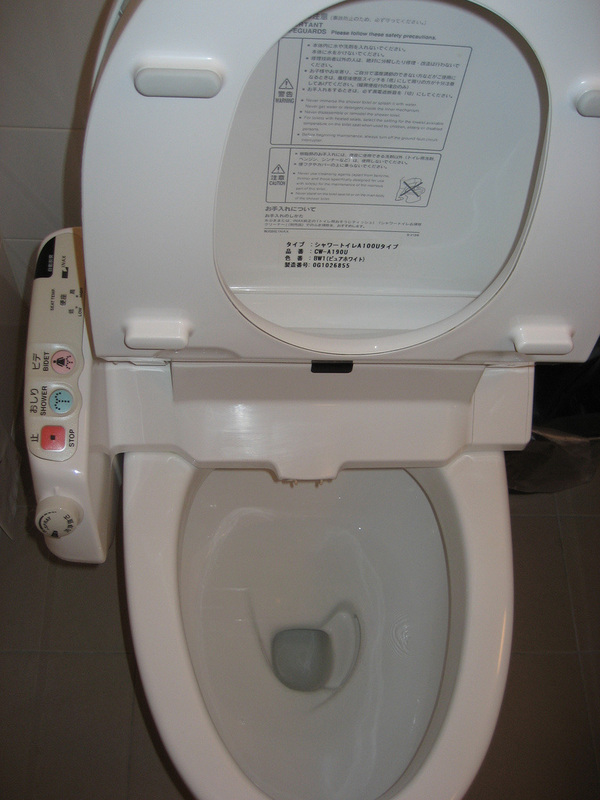 Some of the toilets in Japan have heaters on them to keep your bottom warm while you are using them! 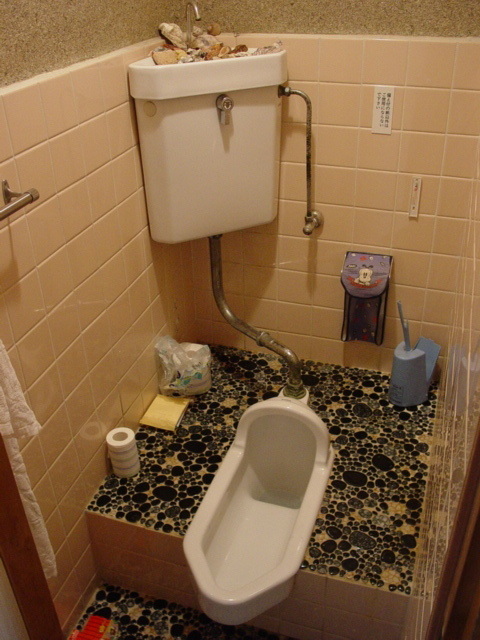 Some of the public toilets in Japan are like this one. Here are some photographs of what the houses looked like long ago.